Boutique London Lets Blog: Wall Murals: An Interesting Alternative to the London Art Scene. Wall Murals: An Interesting Alternative to the London Art Scene. London is a melting pot of innovation and design and undoubtedly the number one spot in Europe for alternative tourism. London artists have used the walls of the city as an urban canvas, to tell and retell the stories of local residents: come with Boutique London Lets on a tour down the streets of Brixton, Soho and Kilburn and spot the London murals, giving an interesting and honest portrayal of London life. We begin our journey in Kilburn to view the largest permanent public graffiti art mural ever commissioned in the UK. The 300m2 mural was put together by the Signal Project in 2004 and has come to represent and define the area, reflecting its vast multiculturalism and historic roots, with subtle references to local themes – it is clear that the local community had some say in the creative process. You can spot images of people moving between the city and the countryside, as well as famous locals and fanciful creatures. Drop by Kilburn Station (Jubilee Line) to see this incredible piece of London design. Next up, we are spoiled by the colourful designs that are painted upon the walls of Brixton. They say that a picture speaks a thousand words, and never has this been more fitting. 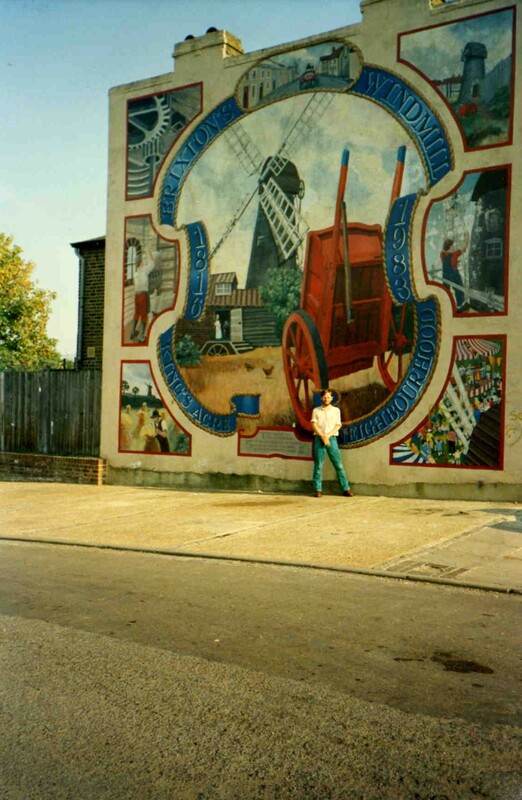 Many of these murals were painted in the aftermath of the Brixton riots of 1981, and portray ideas relating to the politics of the time and are considered a representation of the local community. The London Mural Preservation Society recently funded a restoration project, to repair the Brixton murals and ensure their conservation. The murals of Brixton are all within walking distance of each other and are well worth a visit, should you wish to experience London as it is to the local community. Our last stop brings us to Carnaby Street and the Spirit of Soho, designed to document the A to Z of life in Soho. The image boasts a bizarre collection of images to represent a potted history and geography of Soho – an array of fruit and vegetables, next to shifty bunch of men trying to sneak a peek up the skirt of a woman, next to images of local hotspots and residents. Stop off at Oxford Street Station (Bakerloo and Victoria Line) to see this London artwork. London boasts an incredible array of urban art works, all of which can be viewed with the tap of an Oyster Card. 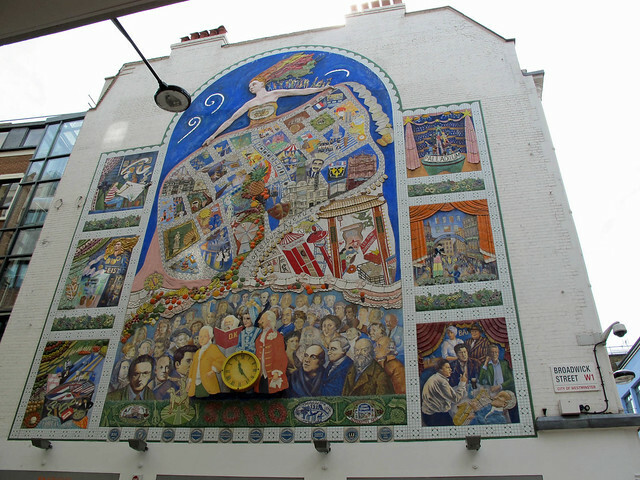 All of the London murals featured in this post are within easy reach of all Boutique London Lets apartments - just hop on the tube and see them for yourselves. Get to know London and what it means to locals - not something you'll find in a guidebook! You have showcased some great examples of urban art in London. But how about Banksy wall murals ?